The traditional organizational approach of a business has been to create a customer-centric workplace, which stresses that management and employees must solely focus on the customer’s experience and delivery of the brand message. However, a new approach is quickly becoming popular in which employees are treated as the integral component of a business’ success. The logic is clear – a happy employee equals a more productive employee and, thus, a healthier bottom line with a satisfied customer base. The experts of Employment Solutions work with companies of various industries to improve labor employment and the management of employees to increase the efficiency and output of their workforce through creating an employee-centric culture. 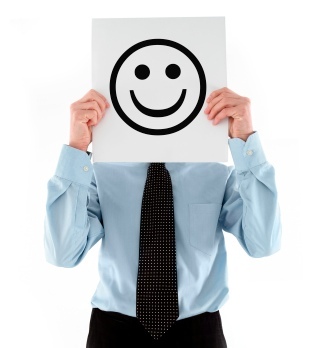 Recognize the achievements of highly efficient employees. Outline the duties associated with an employee’s job title. Explain the goal of each project and provide details about the client or customer for whom it is being created. Assign important tasks and roles to each member of the team. Encourage employees to share their ideas on how to solve project issues. Provide clear deadlines for projects. Facilitate open communication between management and employees by encouraging the use of messaging and scheduling regular meetings. Plan team-building exercises and retreats. Arrange for workshops that provide continuing education for employees. Adhere to a schedule for pay increases and/or monetary incentives. If you have noticed a decline in the productivity of your employees, the employment agency of Employment Solutions can provide you with indispensable information on how to increase your company’s productivity by effectively utilizing your employee base and employing proven strategies to which employees enthusiastically respond. Contact our highly experienced employment agency staff today by calling (877) 880-4473 to discover how we can find you qualified employees and provide solid advice on how to retain productive employees for the long-term.